Prior to our recent trip, I had not visited Memphis for some ten plus years however, I had fond memories of vibrant Beale Street, the unique Peabody Hotel and killer barbecue food so I was more than keen to return! 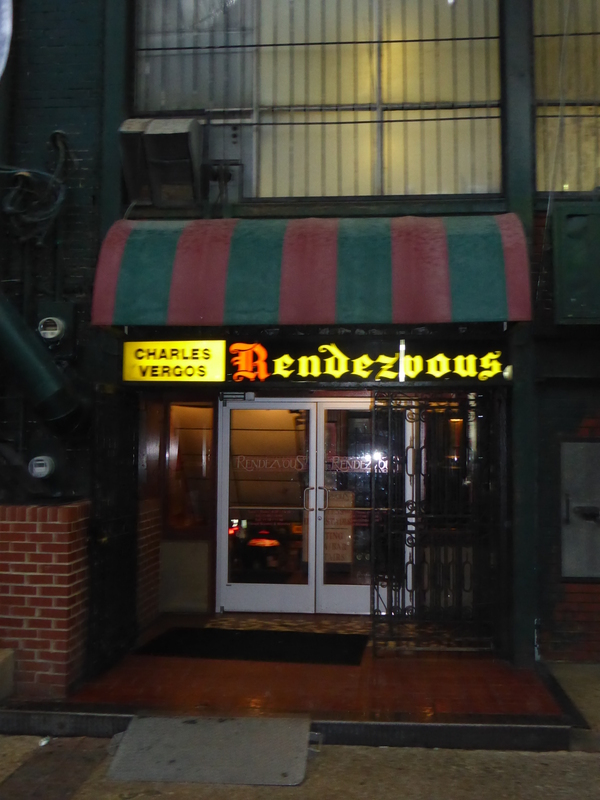 Our first night in town involved a much-anticipated trip to my family’s all time favourite barbecue restaurant, the world-famous Charles Vergos’ Rendezvous. 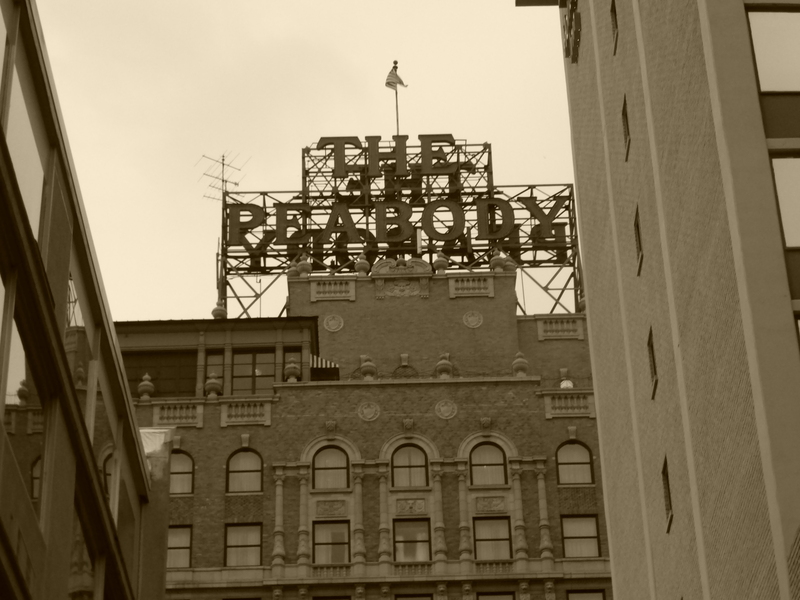 The restaurant is situated in an alleyway, across from the Peabody hotel; although it does not look that salubrious from the outside, I promise that the interior is packed full of history, local memorabilia, fantastic staff and, of course, the mouth-watering smell of barbecue food. 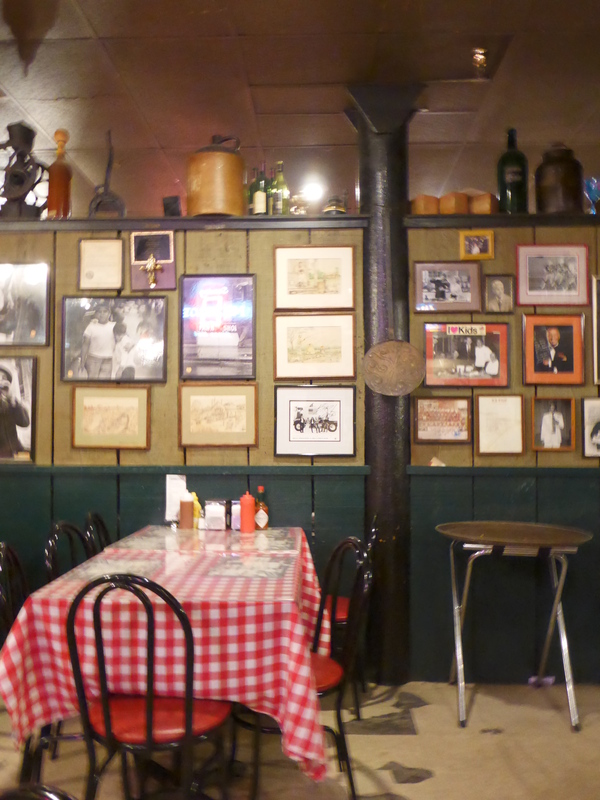 The restaurant dates back to 1948 when the former owner, Charles Vergos (his children now run the place!) cleaned out the basement below his diner and discovered a coal chute and subsequently a legend was born! Barbecue food is a staple in the deep South however, there are many regional variations of technique and ingredients; the Rendezvous is no exception! Rendezvous is renowned for its dry ribs; unlike other barbecue restaurants the ribs are not dripping in sickly sauce but instead are rubbed with a secret blend of spices and slowly smoked for several hours resulting in tender meat with a deep, earthy flavour. 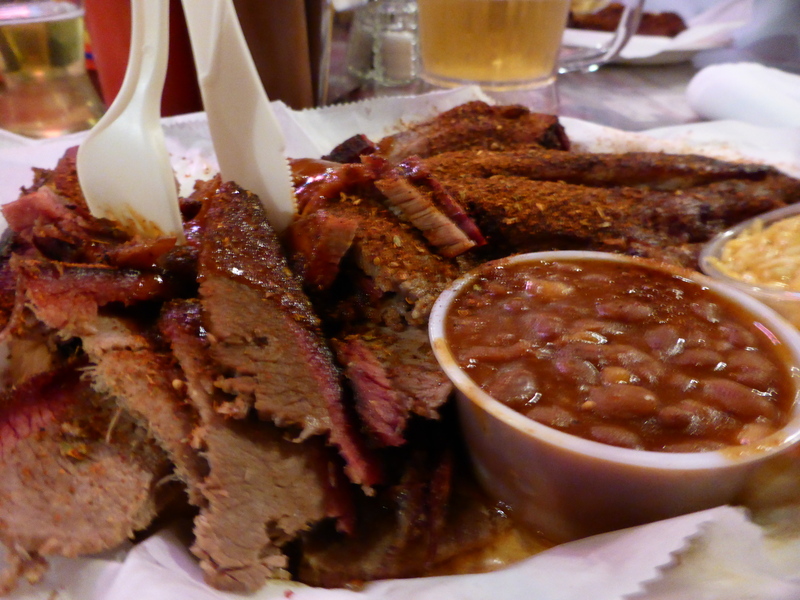 There are several options on the menu from the typical barbecue combos including pulled pork, brisket and ribs to unique appetizers such as barbecue nachos. The restaurant is not ideal for non meat eaters however as the only vegetarian options are red beans and rice or Greek salad, although a skillet of shrimp is available if requested in advance. Large combination dishes are priced under $20 and beer is very reasonably priced with a 48oz pitcher of Budweiser on offer for $9.50. 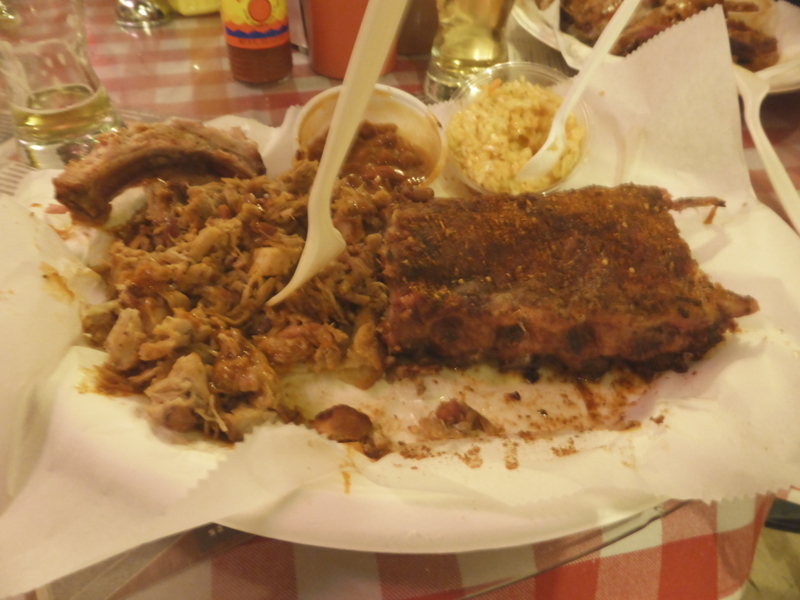 I opted for a combination of ribs and slow roasted pork which was accompanied by coleslaw and barbecue beans. The meat was absolutely delicious, so juicy and tender with a unique, smoky flavour. I was not much of a fan of the coleslaw but the beans were delicious with big chunks of flavoursome meat which was offset by a subtle sweetness. Neil opted for the ribs and brisket combo and also really enjoyed his meal; portions were generous and after washing our meal down with a pitcher of beer we were all pretty stuffed!! My parents, Neil and I all thoroughly enjoyed our meal and can definitely understand why it has been such a hit with visitors including the royal family, former presidents and the television programme, ‘Man vs Food’. Neil and I loved it so much that we purchased some seasoning and barbecue sauce to bring home; although rubs and sauces are available to purchase on-line, the restaurant unfortunately does not ship to the UK. 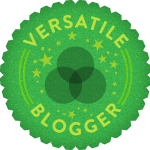 Rendezvous’ recipes are a closely guarded secret however, there are several sites out there that do suggest they have re-created the secret spice blend! I am yet to create my ‘perfect’ bbq rub and sauce at home but I am going to continue to experiment; I recently ordered Pitt Cue Co’s cookbook which looks like a winner! After dinner, we decided to walk off some of our meal by taking a short wander to Beale Street. Beale Street has quite a history for being the home of the blues and has been referred to in many famous songs including ‘Walking in Memphis’. The street was first linked to music in the 1860’s when travelling black musicians busked along the street, the first half of the 20th century saw world-famous artists such as Louis Armstrong, BB King and other jazz and blues artists play on Beale Street and develop the Memphis style – today the tradition continues with a variety of music clubs lining the street, including the Hard Rock Café and the massive Fed Ex Forum which regularly hosts big name bands. 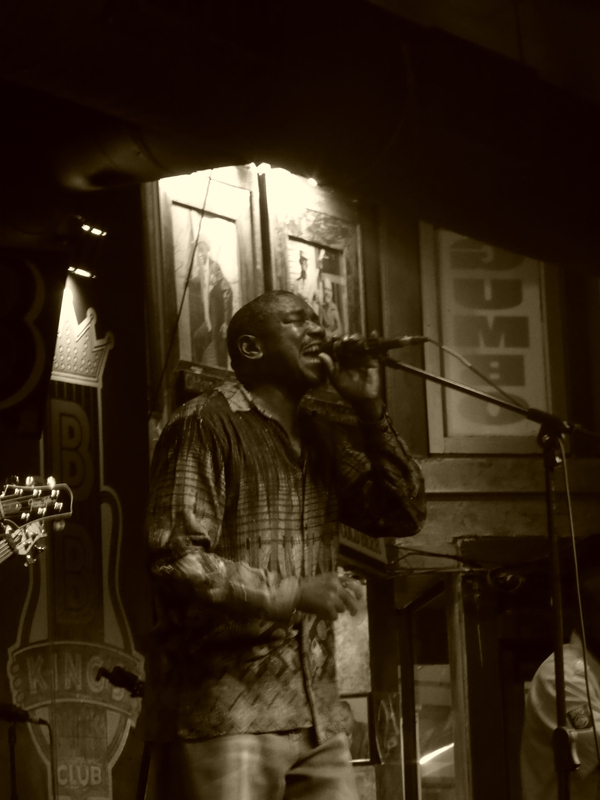 One of the most famous venues on Beale Street is BB King’s Blues Club. Named after B.B. 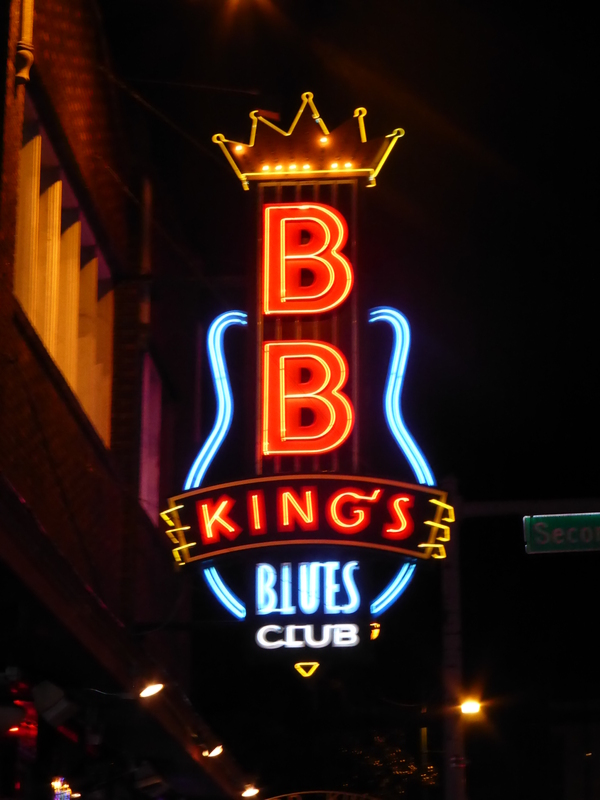 King, the ‘King of the Blues’ and world-famous musician, singer, songwriter and guitarist, the club opened on Beale Street in 1991. 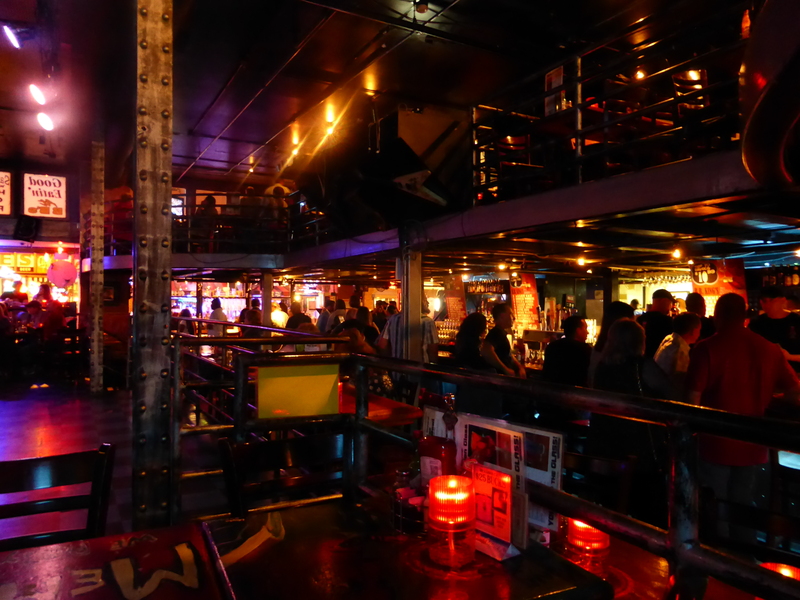 The bar and club is a fantastic music venue with live bands playing every day of the week, often for only a small cover charge. I think we paid something like $5 each to watch the house band. I could have sat there for hours, the musicians were so talented and the cocktails long and strong! I have heard that the food isn’t too bad either which is worth keeping in mind if you fancy a late night snack whilst bar hopping on Beale Street. Beale Street makes a great night out. At night, the street is closed to traffic by the friendly Memphis Police Department and it is possible to take in the sight, sounds and smells whilst walking along with a cold cocktail checking out some of the street performers and buskers. Another highlight of our Memphis stay was watching the ducks at the Peabody Hotel. The hotel’s history dates back to 1869; the building is particularly elegant however, it does play host to some rather unusual visitors! Legend has it that in the 1930’s the manager of the hotel had returned from a successful hunting trip and had a few too many celebratory Jack Daniel’s in the hotel bar. 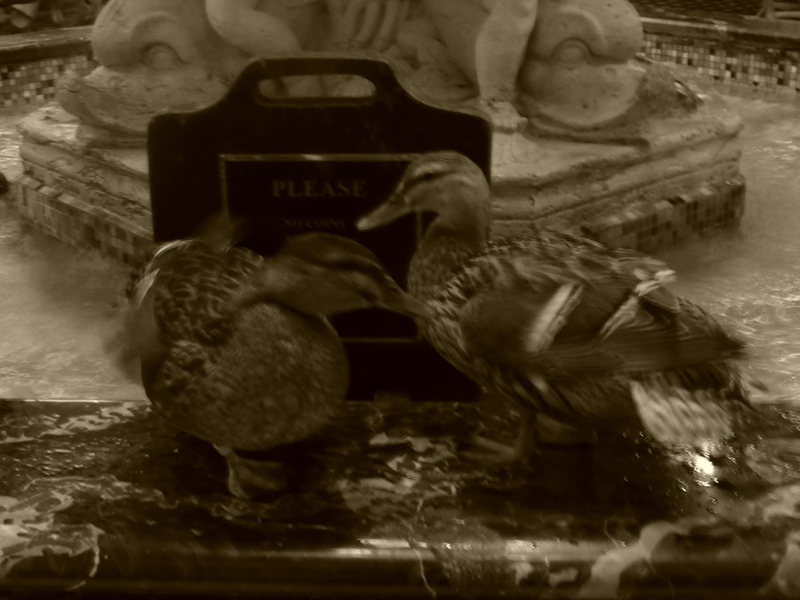 Apparently, the manager and his friends thought it would be funny to put the decoy ducks they had used on the trip into the hotel’s ornate fountain which is situated in the middle of the lobby. From that day onwards, the so-named Peabody ducks are allowed to frolic in the fountain each day before being marched, by the hotel’s Duck Master, to the lift to return to their penthouse on the roof. The ducks march daily at 11am and 5pm; it is best to arrive early in order to grab a seat at the bar and take in the luxurious atmosphere. Interestingly, duck is not on the menu in any of the hotel’s restaurants! Unfortunately, we did not have an opportunity to eat at Chez Philippe, which is situated close to the famous fountain, however the menu appeared to be a fantastic blend of French and Southern cuisine. The restaurant has won several awards and looks to be a perfect place for a special occasion. Although Memphis appears to have been hard hit by the recession, there are still some wonderful places to visit in the down town area which are full of life and history! Memphis does not have to be all about Elvis however, watch this space for a review of Graceland and a recipe for Elvis’ favourite barbecue sauce!